Instead of doing a monthly favourites or Instagram roundup I decided to combine the two and a little more by doing a summary of what I've been up to and loving in the past month, resulting in a 'Life Lately' series. In these I'll tell you a bit about what I've been watching on tv or films that I've seen, music I've been listening to, maybe what books I've read, games that I've played or even recipes that I've been enjoying. I'll also sometimes throw in a few mini product reviews and some of my favourite posts from my Instagram, all from the past month. Over the past week and a bit I watched every season of Dexter (based on a novel by Jeff Lindsay, Darkly Dreaming Dexter) for the first time and I can safely say I absolutely loved it. I know I'm a bit behind as Dexter has been around for a while and now finished but a girl at work recommended it to me so I decided to give it a go as it was on Netflix and I'm so glad I did. 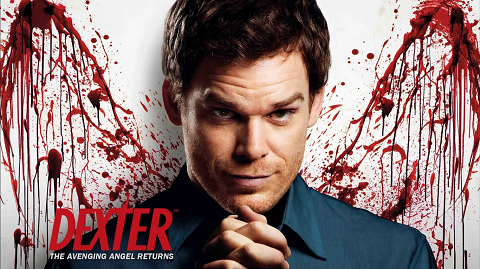 The show revolves around a blood spatter analyst who leads a double life, Dexter Morgan (played by Michael C. Hall, yum), who works for the Miami Metro Police Department, but in his spare time is also a serial killer who hunts down and kills criminals. If you've not already seen Dexter then I can't recommend it enough, I found it was so interesting with just the right amount of mystery and 'bad guys' to keep you wanting to know what happens next and how Dexter would get his justice. I really enjoyed this show and was actually really upset when I finished it as I didn't want it to end (I may also have shed a few tears at the ending but shh). This past month I've really got back in to Lana Del Rey partly thanks to the release of her short film, Tropico and her insane cover of one of my favourite Disney songs for Maleficent. I'm a huge fan of hers, I think she's incredible and her music really inspires me. There's something so beautiful about her voice and what she sings about. I understand that not everyone is a fan but I urge you to give her a listen, even I didn't like her at first but then I heard 'Blue Jeans' and changed my mind straight away. I've also not stopped listening to the Frozen soundtrack. I am a huge Disney fan, always have been, always will be (same as with Harry Potter haha! ), so I had been eagerly awaiting the release of Frozen since I first heard about it. When I finally got to see it I fell in love straight away. It's definitely up there as one of my top favourite Disney films, partly thanks to the astounding soundtrack and Idina Menzel as Elsa. I've been telling everyone who'll listen that if Elsa had dark hair she would 100% be me and Let It Go would be my song. It's such a beautiful song and I can definitely relate to the lyrics in it, there's also a multi language version which you should definitely listen to. It's pretty impressive! I've started rereading It by Stephen King as I haven't read it in a few years and felt like going for something that would give me the chills instead of classics which I've been reading a lot of recently. Stephen King is definitely one of my favourite authors, I've loved every single one of his books that I've read so far (which is quite a few). Carrie in particular as it's now one of my all time favourite books, brilliantly written, and as a bonus the original film is one of my favourites too. I'd also love to read On Writing as from what I've heard it's a really big help and offers lots of tips for aspiring writers like me! As I'm currently on a ban from buying new video games in an attempt to save money (note the use of the word attempt, I'm failing miserably), I'm replaying the games that I own but haven't yet finished instead of starting new ones. 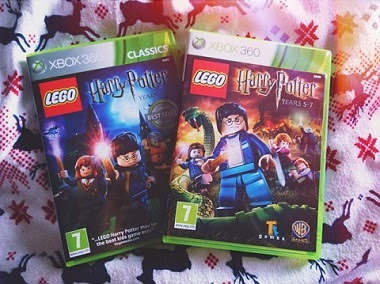 This means that I'm currently addicted to the two Lego Harry Potter games, Years 1-4 and 5-7. If you're not familiar with the Lego video games, you basically go through the story and have to collect little Lego studs and complete small puzzles to progress through the game/find collectibles. You get to play as other characters from the books, even Scabbers, and attend classes to learn spells throughout your time in Hogwarts. As I'm such a huge Harry Potter fan I straight away fell in love with these games, they're so much fun and follow the story closely which is brilliant. I would definitely recommend these if you want something fun but addictive to play, but especially if you're a fellow Harry Potter fan! I treated myself to a new mascara and lipstick as I was bored of my current mascara and I'm still trying to experiment with different lipstick colours or just wear it more in general. After a look on other blogs and reading reviews I decided to go for the False Lash Effect Fusion mascara and Rimmels Kate Moss Lasting Finish Lipstick in Shade 16. I've not been using these for long but I already know I'll definitely repurchase them. The mascara is my new favourite, it lengthens and volumises my lashes so that they look visibly longer even without curling them. I'm also loving the lipstick, it's a neutral pretty pink that really suits my skintone and looks great with my everyday makeup. It's also something that I feel brave enough to wear out and about more often as it's not too 'in your face' and is a fairly basic colour. The main thing that I've done this month was go to Eden Hall Spa with my mum as a post-Christmas treat. Neither of us have ever been to a spa before so it was a brand new experience and we loved every minute of it. We both came home feeling so much more relaxed and obviously extremely pampered! I've also taken a big step towards getting some personal issues that I've been dealing with for around seven years finally sorted, I'm so glad I finally found the courage to go ahead and do it but I regret not doing it years ago. Other than the spa trip, I've not been up to much else as January is always a slow month and I like to take time to unwind after Christmas and all the extra hours I'd been doing at work in the run up to it. One thing that I did do though was finally give my room a proper sort through which resulted in five bin bags of junk leaving my room and being thrown out. 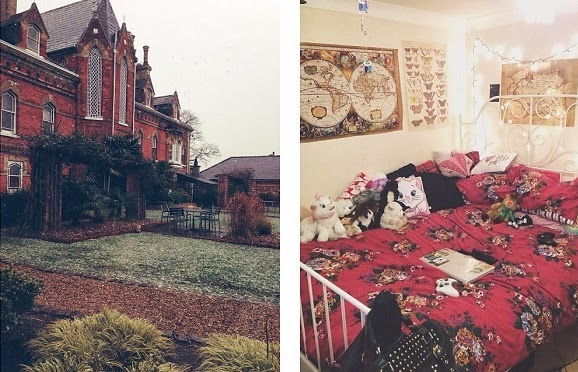 Although there's still a few bits and bobs that I'd like to go through, I definitely feel so much more organised having a clean and tidy room so it was well worth the three sweaty days that it took to sort it. So as you can see, I've not been up to too much this month other than winding down after December and Christmas. I'm glad I've started blogging again as I really enjoyed writing this and think I'll continue to do these at the end of every month instead of a favourites post. I also find that writing/blogging is helping me relax and deal with some of the personal issues that I mentioned above so hopefully I'll get back into a good posting routine again and not disappear for a few months like I usually do! 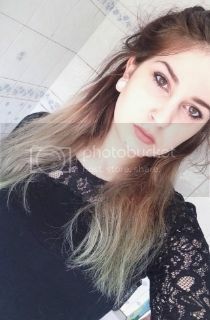 Let me know what you thought of this post, if you do one similar please link me below cause I'd love to check it out.